Google Maps is out finally coming back to iOS6 after much fuss worldwide on the problems encountered with the new Apple Maps in iOS6. It’s got two-finger rotation to any angle. 4-inch height of the iPhone 5 is supported! Here are some blurry photos. 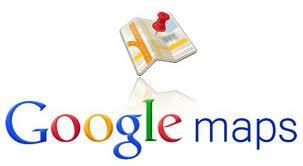 Ever since iOS 6 came out, we lost Google Maps. However, Google has been rumored to be hard at work on their own replacement! It’s coming. It’s in alpha. It’s shown below. Anyone have any serious problem with the new Apple Maps in iOS6? Please comment below!